Beacons are at risk of going the way of QR codes, but a new software platform from Google might finally make the tech more appealing to marketers, writes Rosh Singh, director of digital innovation at Kinectic. 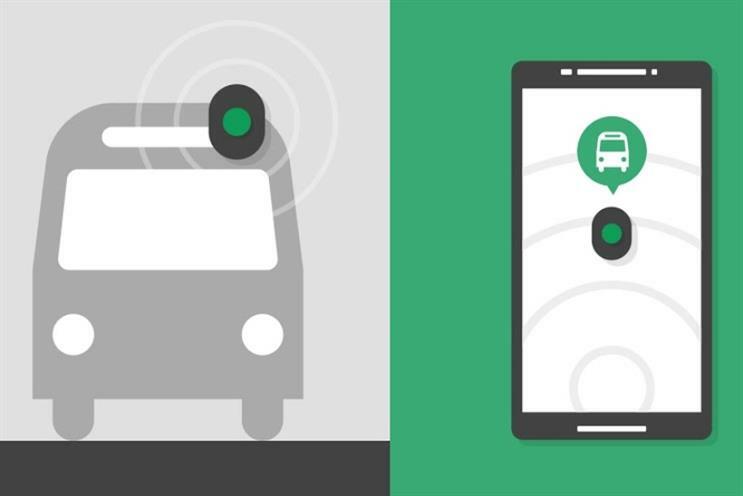 Google last month unveiled Eddystone, a software platform for Bluetooth beacons that marks a serious push into the Internet of Things. Bluetooth Low Energy (BLE) beacons are small devices that use Bluetooth tech to trigger notifications or other actions in a nearby smartphone or device. Google’s open-source platform represents the firm’s next step in ‘the physical web’, which brings the power and interaction of the internet to everyday items. That’s often referred to as the Internet of Things. Advertising has a huge amount to gain from beacons. When used effectively, they allow marketers to become more adaptive and targeted with their messaging. The beacon is the link between the physical medium of posters and the data-rich mobile and web world, serving as a real-world cookie capable of delivering personalised advertising at a broadcast level. The technology hasn’t been widely adopted to date, but Eddystone offers improvements on iBeacons that may help convince marketers. Beacons are not new, Apple released its iBeacon framework back in 2013, but Google’s offering presents a more interesting take on the technology. For one thing, Eddy stone is open-source, meaning it isn’t just limited to iOS devices, making it more appealing to developers. It’s also the most sophisticated BLE framework released to date, showing that Google understands the uses and limitations of the technology. Included within Eddystone are multiple different communications protocols or frames that allow the beacon to act and behave in a slightly different way. One feature, ephemeral identifiers, is particularly interesting. This is a secure framework that effectively allows marketers to communicate only with certain users through a beacon. This is usually designed for personal experiences like finding lost keys, but in advertising, where a beacon is seen as a piece of media for a message to be served against, this will allow tighter control of messaging by brands and media owners. Another feature, Eddystone URLs, allows beacons to send out encoded links to our smartphone browsers. Rather than having to download an app or physically touch your device against a tag as with QR codes or NFC, URLs work directly with our devices. This could mean true frictionless engagement and, if it works as promised, will allow us to realise the hype and excitement we all felt when NFC first hit. This addition could legitimately change the way that brands and people engage out of home without technology being a barrier. Realistically, Eddystone is unlikely to boost adoption rates in itself as the onus is still on advertisers and experience designers actually adopt beacon-based marketing. Currently there’s little happening beyond sending out push-notifications, which can become spammy and will suffer a high attrition rate when adoption eventually creeps up. The two major hurdles that still exist for beacons as an effective marketing tool are privacy and the fact that Beacons only work through native (installed and downloaded from an app store) applications. As Titan Outdoor saw in NYC, the sensationalism of mainstream media is often more powerful than the facts when it comes to beacons. A story about tiny Orwellian tracking devices littered around the city is enough to send the public into a frenzy. Again it is up to marketers to create experiences that show true value and utility to users, which will ultimately increase trust in the technology and increase awareness. We are in danger of beacons plunging into the trough of disillusionment. The expectation and hype has failed to deliver enough value to clients in the short-term, enthusiasm is starting to wane and attention is being drawn elsewhere as marketers sense the tech will go the way of NFC and QR codes. Will Eddystone be enough to pull it out of the trough? Maybe not alone, but it should make marketers’ lives a little easier and offer enough encouragement to maintain momentum.